Excerpt from May/June 2018 AMAZONAS Magazine. The Aquatic Gardeners Association is an international nonprofit organization of aquatic plant enthusiasts, open to beginners and experienced hobbyists alike. The annual AGA Contest is the only one of its kind to showcase different categories based on size and style. This sets it apart from other international contests, and it is the longest-running online contest in the hobby. 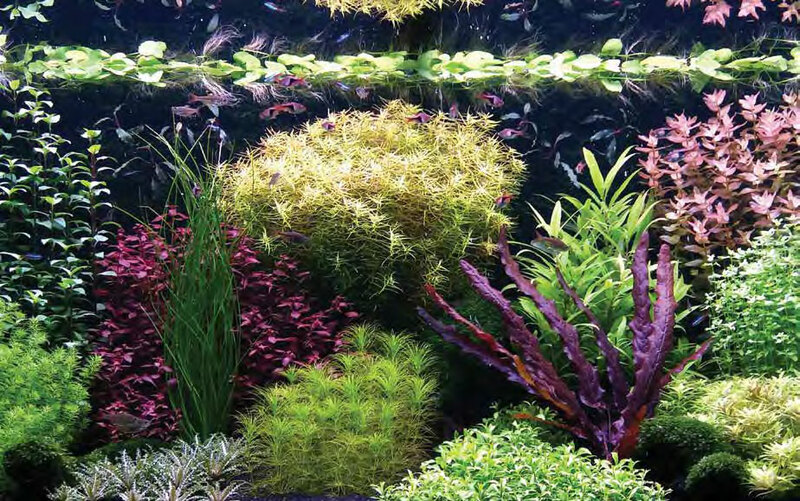 The contest is divided into nine categories—six Aquatic Garden categories broken down by tank size, and three specialty categories: Biotope Aquascape, Paludarium, and Dutch Aquascape. 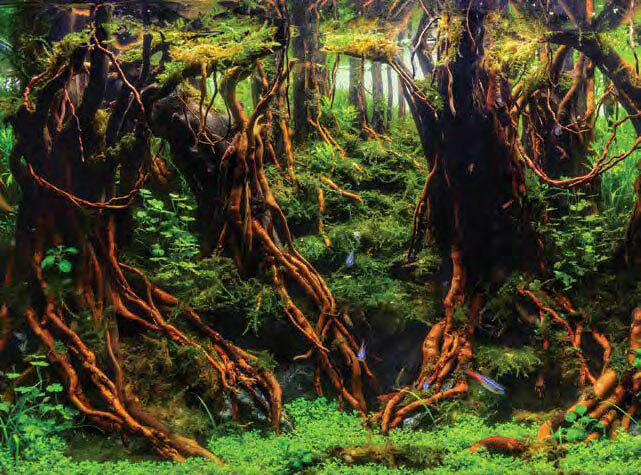 2017 was a banner year for the aquascaping contest, with the most entries entered in the contest since its start in 2000 and more than 600 aquascapes submitted. Each year, a different panel of experienced aquascapers judges the contest. This year, André Longarco of Brazil, Kam Wong of Hong Kong, and Shawn McBride of the United States were the esteemed judges for the contest. Marco Aukes judged the Dutch Aquascape category, and the AGA’s own Phil Edwards and Karen Randall assisted in the Biotope and Dutch categories. Major sponsors included Seachem and Complete Aquatic Systems. 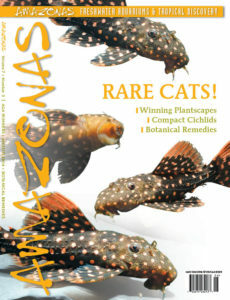 For more information about the AGA International Aquascaping Contest and to view all of this year’s entries, as well as entries from past years, visit the AGA website at www.aquatic-gardeners.org. All images Copyright © the AGA 2016 entrants. Click image for larger view. “One Faith,” 2017 Winner of the Smaller than 28-L category. Aquascape by Matthew Israel O. Manes from Paranaque City, Manila, Philippines. André Longarço: “Great work! It is almost impossible to believe that all of this could fit in this size tank! The proportions and details are perfect. The layout looks like it should be much bigger. Just one detail: in my opinion, an empty area in the front with sand would be better for perspective. “Sense of Nature,” 2017 Winner of the 28-60 L category. Aquascape by Jirawong Laopiyasakul from Pattaya Chonburi, Thailand. “Montseny,” 2017 Winner of the 120-200 L category. Aquascape by Bernat Hosta Rovira from Barcelona, Spain. “Feng Ming Tree Ring,” 2017 Winner of the 200-320 L category. Aquascape by He Yi, Suzhou, Jiangsu, China. “Breath of Wind,” 2017 Winner of the 320L or larger category and BEST IN SHOW. Aquascape by Roger Goh Yu Quan, from Singapore. Plants: Micranthemum sp. “Monte Carlo,” Fissidens sp., Riccardia chamedryfolia, Taxiphyllum sp. “Spiky Moss,” Staurogyne repens, Bolbitis sp. 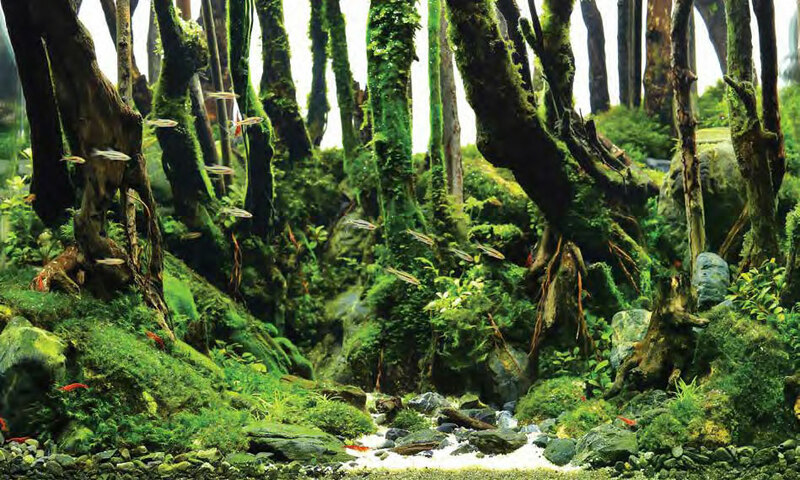 “Submerged Melaleuca Forest,” 2017 Winner of the Biotope Aquascape category. Aquascape by Tran Hoang Nghia from Can Tho, Viet Nam. 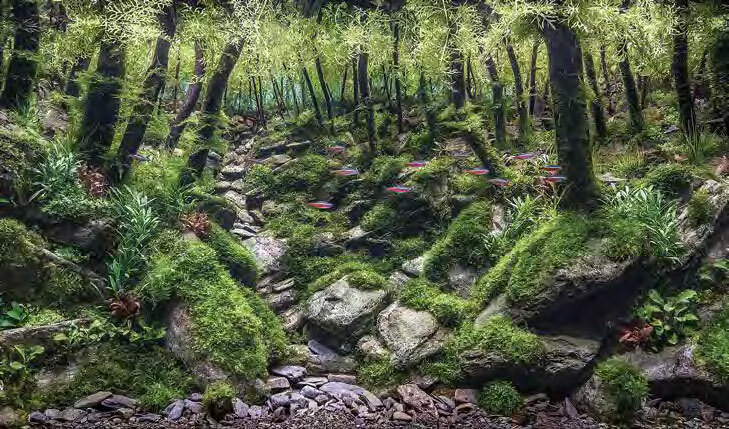 “Down the Rabbit Hole,” 2017 Winner of the Dutch Aquascape category. 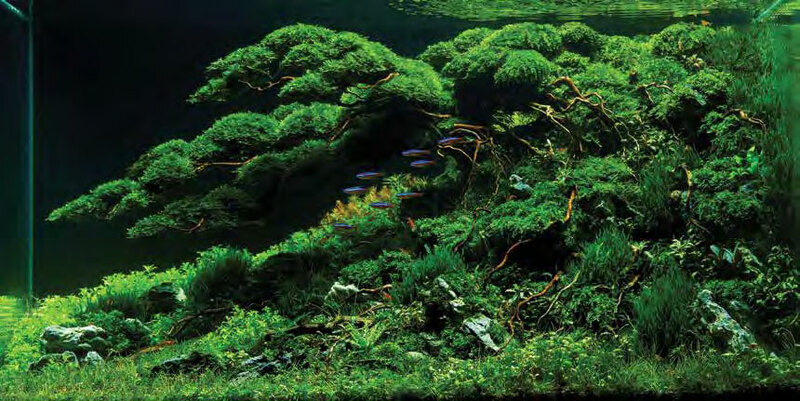 Aquascape by Joe Harvey from Athens, Alabama, USA. 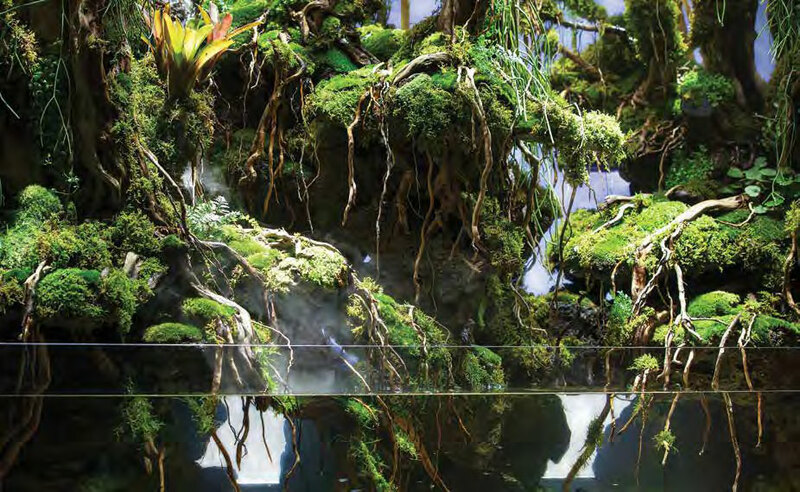 “Valley Secret,” 2017 Winner of the Dutch aquascape category. Aquascape by Liu Yong from Fuzhou, China.